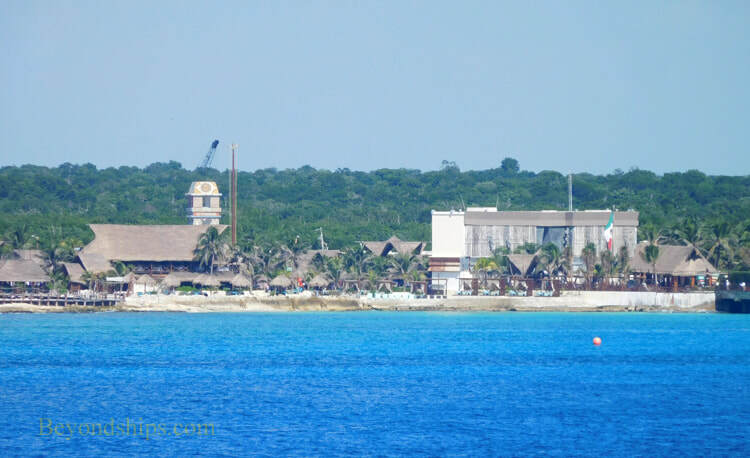 Costa Maya is a cruise village on Mexico's Caribbean coast. 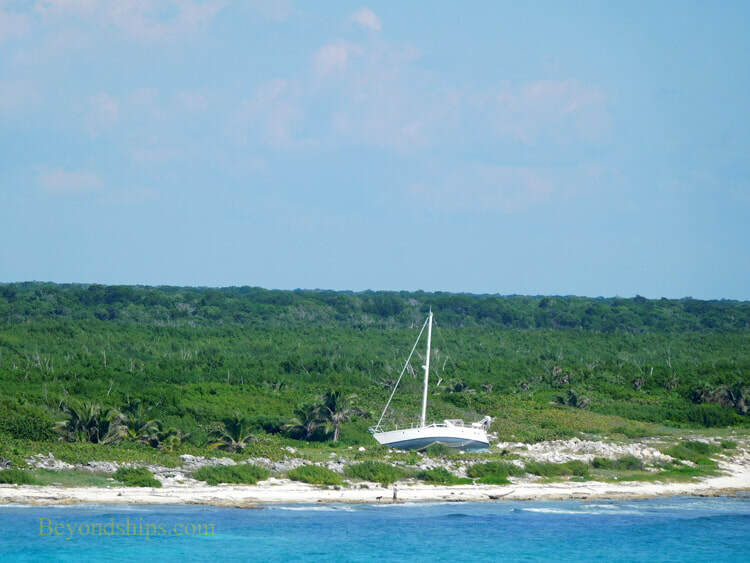 Carved out of the Yucatan jungle, it was built and designed to attract cruise ships to the area. As such, it was designed with cruise travelers in mind and features restaurants, bars, shopping, pools and entertainment all within a theme park like facility. This port opened in February 2001. However, due to severe damage by Hurricane Dean in 2007, it was forced to close for a year, re-opening in 2008. Prior to the opening of the cruise village, this area was a sparsely populated fishing region. However, the infrastructure of the surrounding area is being developed for tourism. The nearest town is Mahahaul, about two miles away from the cruise village. It has a beach-front promenade with beach clubs, bars, and restaurants. Taxis and a shuttle run between the cruise village and the town. A popular shore excursion is to Uvero Breach. This resort is about 45 minutes away and features a 1,300 foot white sand beach. Those looking for a more cultural experience can take tours to the Mayan ruins at Chacchoben and Kohunich. 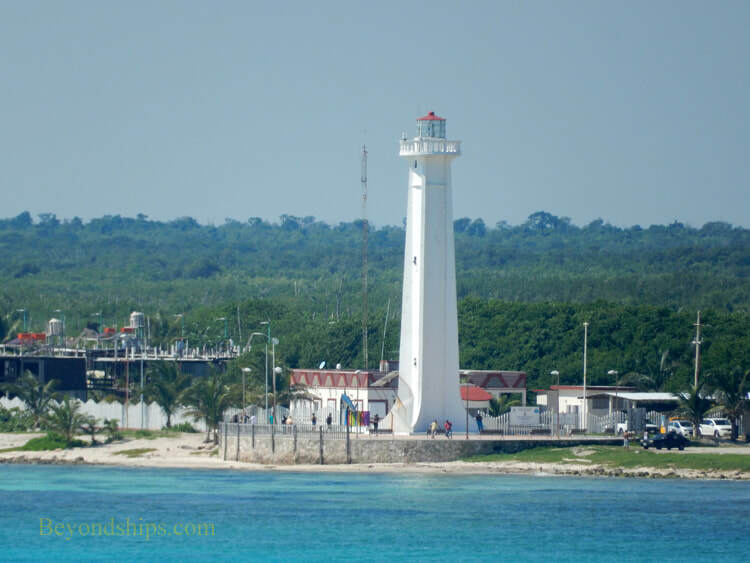 The official language in Costa Maya is Spanish but people in the cruise port and tourist areas generally understand English. The currency is the Mexican peso. Above: Much of the area is still jungle. ​Below: The lighthouse at Mahahaul.